At the southern point of Taiwan, not far from the hedonic bustle of Kenting’s main strip, small waves rush and retreat reassuringly across the white sand of the village’s beach. At its eastern end sits a small temple, easily looked over as another one of the millions of shrines that dot the Taiwanese landscape, urban and rural alike, its columns and eaves painted and tiled in the typical reds and yellows, its “stone” lions cast from the same mold as thousands of other concrete guardians. A plaque inside this three-bay construction dates it to 1999, the latest in a series of structures that have been there for almost a century. 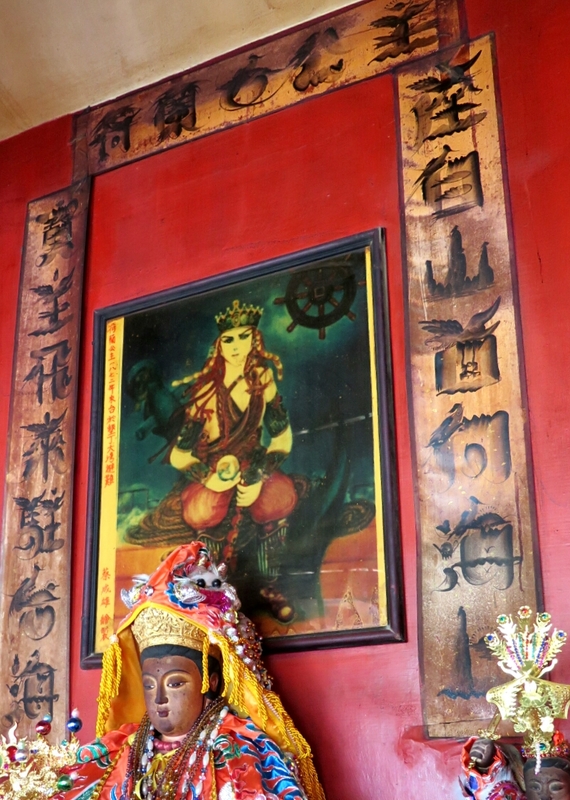 The right bay belongs to Tudi Gong (福德正神),* the local earth deity. The central altar, giving its name to the shrine as a whole, is for the Lords of Ten Thousand Responses (萬應公), one of many euphemisms used to describe hungry ghosts. The souls of the childless, forgotten, and anonymous dead are venerated there. Lacking the necessary families of their own to propitiate their spirits, they become kin to all lest in their ignored, hungry state they act out against the community. Hungers sated, their ghostly powers are directed instead towards the good of their adopted homes. Yes, this deity is Dutch. She is very, very far from her natal home. Or, to look at it another way, she’s right where she belongs with her new family, long forgotten ghost that she must be in Holland, were she ever a princess there to begin with. The barest frame is as follows, one upon which varying details are hung given the source: A Dutch princess was bound for Taiwan. Shipwrecked in the bay at Kenting during a typhoon, she and the crew of her ship were slaughtered by aborigines. She had with her eight treasures from Holland and she became a subject of veneration. There are many pieces to this story, not all of which agree with each other, but are simultaneously maintained in collective knowledge about the Princess and about Taiwanese history. Though the famous Mudan Incident, in which aborigines killed shipwrecked Ryukyan (Okinawan) sailors near Kenting happened in 1871, and records exist of British ships wrecking nearby before and afterwards (see the listing of Taiwan-related entries in the Peking Gazette in the bibliography of Formosa Under the Dutch), there seems to have been no historically documented shipwreck there in 1872 for the calligrapher to record on her image hanging at the temple. Yet so it is written. And so it is also related that her name was Marguerite (瑪格麗特). Also, some say that the tribe whose members killed her had a prohibition of killing women, but one lone warrior was selfish and wanted her treasures. Or was mocked for being cowardly and not having taken part in the raid on her ship and killed her in a rage. Others say that her fiancé, William, died in Taiwan before she could find him and she was on her way home to Holland in mourning. One version records some sailors first surviving the wreck and aborigine attack and then surviving, vampire-like, by sucking blood from cows with straws, until caught months later and finally killed. Some say that her bones weren’t found until the 1930s, and her spirit communicated through a medium using English. Others say that she demanded a boat to speed her spirit back to Holland, only to return to her temple some time later, expressing that Holland is too far and her new home, Taiwan, will suffice. At least many agree that among the eight treasures was a pair of klompen, which we all know are Dutch. Her altar features a new, shiny pair, perhaps to help her feel more at home in this former Dutch colony. What are we to make of this religious blend of clashing cultures and history? *I heartily recommend Allesandro Dell’Orto’s book, Place and Spirit in Taiwan, when it comes to thinking about Tudi Gong. It’s not your standard dry, sterile academic work, rather, it’s personal and contemplative while also showing rigorous research and analysis. ** My sources here are, by necessity, textual and recorded, however, not directly oral history. 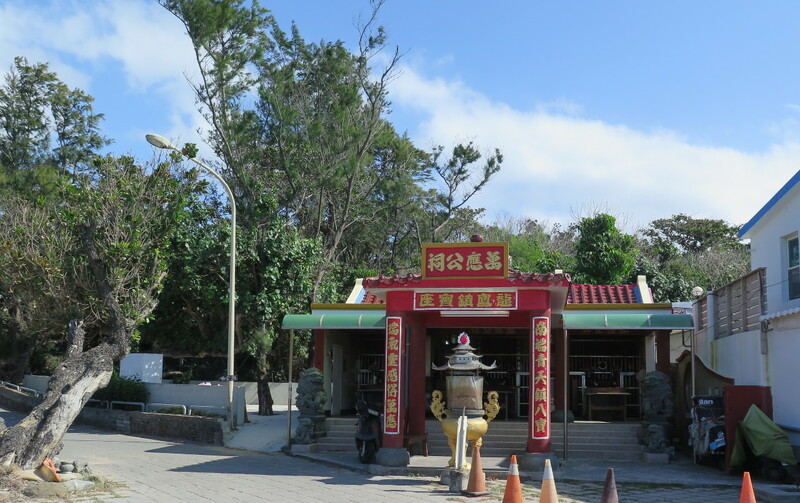 I am not an anthropologist, nor have I the conducted fieldwork and interviews on the ground in Kenting that would be necessary for a detailed study of this shrine to the Dutch princess. Below I list most of the links (almost entirely in Chinese) from which I synthesized the information in the above text. All possible misrepresentations are due to my own errors and I will gladly correct them if prompted. 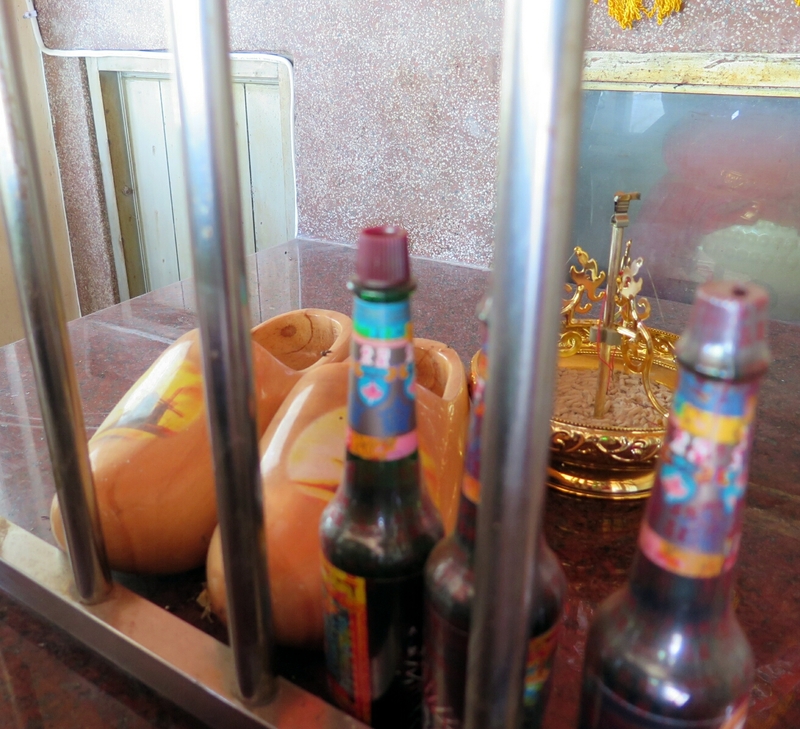 Three blog entries by the 一心寺 temple involved in a large undertaking of the Buddhist rite of feeding hungry souls for the Princess’ sake in 2008. Thank you, I have corrected it now. My guess is that this is the result of a reconfiguration of history as oral history, local folklore and shifting identities have collided into a new narrative. My guess would be that this is related to the shipwrecks of the late 19th century, possibly the Rover incident in which Captain Hunt and his wife were murdered with all hands by the Mudan. It is possible that the white caucasians became “Dutch” in the minds of the locals who were also repositioning themselves away from indigenous identities. I recorded a similar story at Maubitou, where three American sailors were shipwrecked and killed by the local indigenes. When I was there a female spirit medium was sweeping the altar under a coral cave with a dead chicken. According to the locals, the sailors were thought to be vampires by the locals and were sucking the blood of cattle, and therefore, the locals burned them alive in the cave. The story served to anachronously transform the locals from headhunting indigenes, to Han farmers with cattle and serve their need to leave their prior identities. On Xiao Liu Qiu, the genocide committed by the Dutch between 1636-1642, was reconfigured in the local memory as a later campaign against escaped African slaves. This was done to satisfy the need to explain the “blacks” who had been killed in a cave. Of course, the Dutch called anyone with darker skin a, “black”. Thanks for this long, excellent comment! I’ve been thinking along similar lines about the transformation of the locals to serve the needs of updated identities. Your 小琉球 story is one that I didn’t know and will definitely look into more. The reconfiguration of the Dutch colonial era in oral history is particularly interesting to me. I remember being surprised by it in high school when a Taiwanese classmate told me that his family believed they had a Dutch ancestor from the 17th century, pointing at his larger nose as evidence of this foreign influence. I remember thinking that he did look a bit different but not having considered that as an explanation. A few years later, another friend of mine told me about a particular toe shape (I think??) that he said meant that he had plains aborigine ancestors, something he was really excited about. Somewhere there is a book waiting to be written about these family stories about mixed racial roots in Taiwan. 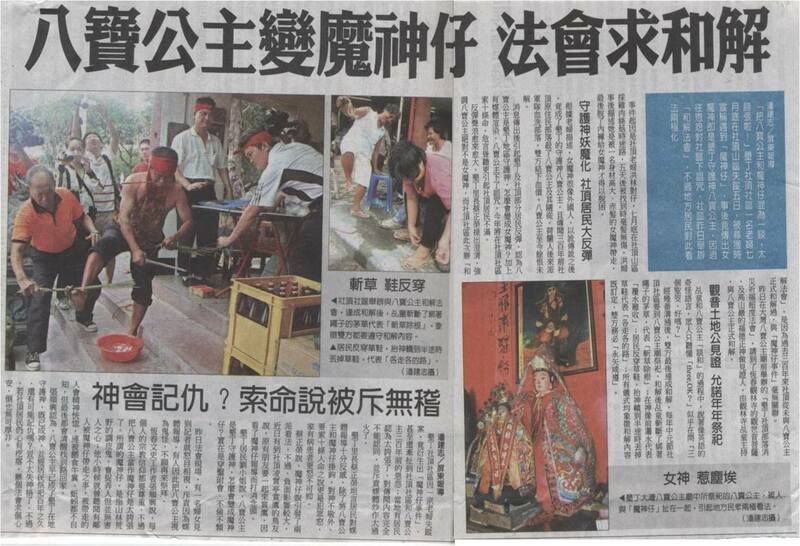 Most Taiwanese are a mix of plains indigenes, highland indigenes and various ethnicities that are considered “Han”. There are some studies which put the figure over 85% for Taiwanese with plains indigene DNA. Of course, that doesn’t matter as much as what people believe to be. Moreover, the Dutch did marry women from plains tribes. The degree of intermarriage was higher in and around Tainan (by some accounts 3000 descendants remained in Taiwan in 1662). My wife had her DNA tested and found a small percentage of European DNA in the mix. It is really hard to tell from physical features as there is quite a lot of diversity in Taiwan. I think the really interesting part of this story, is not what may be true or fiction, but in the reasons the “Dutch Princess” has become meaningful to the locals and why they believe it to be true. That would be something to investigate. “That doesn’t matter as much as what people believe to be.” Love how you put that. I’m not the one to investigate 八寶公主 or perceptions of mixed ancestry in modern Taiwan, but I wholeheartedly agree that someone should!